But, unlike trying to tune into the sitcom’s reruns to cure your hangover, this casting might not be a horrible idea. Yes, Kutcher is primarily a comedic actor. And yes, Kutcher is not necessarily known for delving into the complexities of his characters, which is admittedly worrisome considering Jobs is no doubt a complex character. But Jobs was known as a creative force who always sought to make interesting choices — it’s a propos to have then cast a creative and interesting choice like Kutcher in the role. Even if Sony’s version of the biopic (yes, there are two in the works. Snow White déjà vu!) attracts A-list heavy-hitters (hello, George Clooney… reportedly! ), Five Star Institute’s version has intrigue on its side. 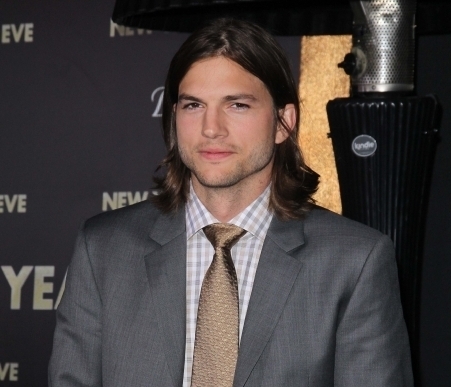 Admit it: You’re a tiny bit curious to see how someone like Kutcher would fare in the role. It’s hard not to root for the underdog — a position Jobs himself knew well. Add to that the fact that comedic actors have fared well in the biopic department: Jim Carrey should have nabbed an Oscar nomination for his stunning performance of Andy Kaufman in 1999’s Man on the Moon while Jamie Foxx picked up an Academy Award for his work in 2004’s Ray. Why should we expect anything less from Kutcher? Sure, the actor misfired with serious material in the past (remember The Butterfly Effect? We hope you don’t), but even actors like Carrey have had to endure duds. (Remember The Majestic? We’re glad you don’t.) And it certainly doesn’t hurt that Kutcher resembles Jobs in his early years at Apple — I’m going to go ahead and assume Kutcher’s ill-advised couch-surfing hipster look from season 9 of Two and a Half Men was simply his audition for this role. Does that justify it? No? Oh well. I’ll admit Kutcher’s technology obsession does concern me a tad — the actor has already used Two and a Half Men to push the online companies he has a stake in. If Five Star Institute’s Jobs slaps a Foursquare sticker on his green screen, well, consider me checked out. But, still, one of Apple’s most famous slogans is “Think Different.” Isn’t this casting just following suit? Ashton Kutcher’s Possible Two and a Half Men Return: Is He Worth It? Two and a Half Men: Will Ashton Return For Another Season?